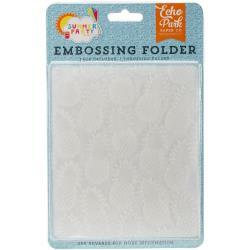 This package contains one (1) Embossing Folder. Can be used with most Machines. Product by Echo Park.